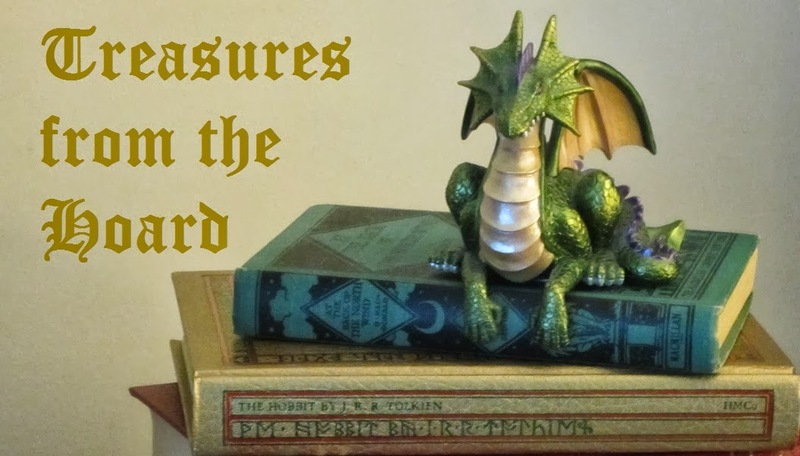 ‘Treasures from the Hoard’ are books I love, keep, and re-read. Anne of Green Gables has been a favorite of mine since I first discovered the books around 5th or 6th grade. 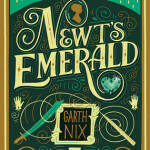 In fact, I love the entire series, but the first book is among my best-loved children’s books. 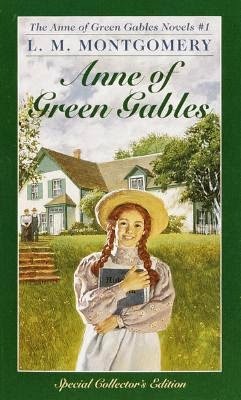 I reread them every few years; the last time was when we visited Prince Edward Island in 2010 and saw the real Green Gables, the Haunted Wood, and some of the other places associated with either Anne or author Lucy Maud Montgomery. 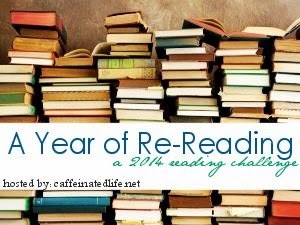 So I was ecstatic when I found out that Anne was the April read-along for The Midnight Garden’s Classic YA/MG Challenge. An excuse to reread the book and a chance to share my enthusiasm with other Anne lovers — how could I resist?! Reading a book you’ve read at least 10 or 15 times before is a different experience from reading a book for the first time. You greet favorite scenes and well-remembered passages with a smile and a nod; suspenseful moments may lose some of their tension, but that’s made up for by comforting sense of familiarity with the book as a whole. When Anne cracks her slate over Gilbert’s head, I just grin, knowing full well how that ends. Yet I’m far from being unengaged when I read. I can still feel Anne’s bitter disappointment when she discovers the Cuthberts wanted a boy, and the grief of a child who longs to be loved. I still laugh out loud at some of Anne’s antics and the scrapes she gets into, especially Aunt Josephine and the spare room bed. And there’s a moment near the end — anyone who’s read the book will know which one I mean — that never fails to make me cry: not just damp eyes but real tears and even sobs. I wonder sometimes whether I would love these books as much if I were reading them for the first time now, in my middle years. I hope I would. I understand Marilla and even Mrs. Lynde much better than I did as a child, but I haven’t lost my ability to empathize and identify with Anne. I’m sure some adults find Anne too talkative and too inclined to dramatize everything, but… I was a lot like her as a child: romantic, imaginative, prone to daydreaming, apt to talk too much, and subject to similarly intense highs and lows. It makes Anne very real to me — a ‘kindred spirit’, to use her own words. And while I can see why Marilla gets exasperated with her, well… I’m sure I exasperated my mother just as much at times! The book has always felt a little episodic, but it’s only as an adult that I’ve really become aware of the overall character arc. Anne is a child at the beginning of the book; at the end, she’s a young adult: less impulsive, more thoughtful, with the beginnings of wisdom and maturity and a commendable loyalty. She retains the things that make her Anne, though: her imagination, her ability to love wholeheartedly and to see the beauty around her. Marilla grows as well, softening and learning to open her heart a bit — and she, too, becomes wiser. Matthew… Matthew is more of a constant, offering the unconditional love Anne craves, and becoming, if not quite a father figure, at least a dearly loved uncle. The Anne books were among my first introductions to romance, along with Little Women, and they influenced me in ways I didn’t consciously realize for years. It’s impossible not to fall in love with Gilbert, who is very nearly the perfect man: steadfast, adoring, handsome, and possessed of both intelligence and a sense of humor. I didn’t realize until after I was married just how much Gilbert had influenced my ideal… but my husband has a lot of Gilbert in him! I don’t know if I can quite put into words all that Anne of Green Gables has meant to me. Anne, and the books themselves, have been my companions during times of stress and times of loss, through my bewildering and sometimes painful adolescence, my early adult years, the years of raising my own daughter, and now as an empty-nester. It’s one of my best “comfort books” (or rather, series) and one of my oldest friends. I’m grateful for all the hours of joy Anne has brought me; her books will always find a home on my shelves — and in my heart. You can read what other people think of the book at The Midnight Garden. I’ve got a whole bookcase full of my childhood favorites, and reread them periodically. I loved sharing them with my daughter when she was growing up. This classic always gives me a warm and cozy feeling. Thanks for visiting my blog. It’s a wonderful, heartwarming book. Mine, too, as you can see! I’ve hardly met anyone (well, anyone female) who didn’t love the Anne books as a child. There’s something almost universally appealing about her. So well articulated Lark! Anne is kind of the perfect character, because even though she at times strives to be somebody else, she is always so much herself and she is awesome. She really is. And I love that Montgomery let us see her throughout her life — even as the mother of (mostly) grown children, in Rilla of Ingleside (though Anne isn’t the central or POV character in that one.) I think it makes it easier to relate to her; when you’re younger, you can look ahead to see what being grown might be like, and when you’re older, you can look back and remember being a child or young adult, but some incarnation of Anne is “your age” for a very long time.